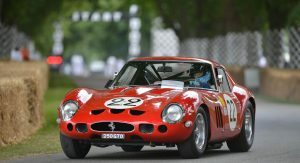 Want a Ferrari 250 GTO? Good luck: the Prancing Horse marque only made 39 of them back in the mid-Sixties, and these days they’re trading hands for tens of millions of dollars. (That is, when they actually change hands.) But Ferrari could put it back into production, of sorts, with a new “continuation” run. 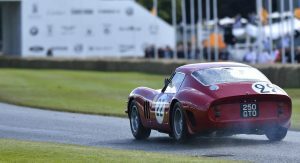 Speaking to journalists at the Geneva Motor Show last week, Ferrari chief Sergio Marchionne indicated that the legendary 250 GTO could see production again. Marchionne was referring to the Lightweight E-Type, which Jaguar put back into limited production a few years ago. The same automaker has subsequently followed up with a similar continuation run for the XKSS and now the D-Type. 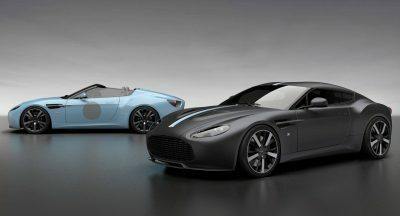 Rival automaker Aston Martin is also following a similar path with the DB4 GT. And based on the chairman’s comments, it would appear that Ferrari is contemplating following suit. 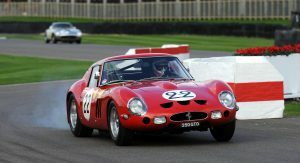 The elite club of 250 GTO owners includes fashion icon Ralph Lauren, Pink Floyd drummer Nick Mason, Wal-Mart chief Rob Walton, and former Microsoft president Jon Shirley. The model current ranks as the most expensive car ever sold at auction. Bonhams achieved the record when it sold the car with serial number 3851GT for over $38 million at Pebble Beach in 2014, beating the Mercedes W196 it sold the previous year for nearly $30 million at Goodwood. Why bastardise the most valuable car ever made? I agree…what’s the point? Well of course money but still…the 250 should stay in the past and be honored as it is. If your going to do something call it something else. When you’re chasing MacLaren and mimicking Lamborghini & Aston Martin, you might as well give all your pride away and just copy Jaguar too. Because it’s essentially a licence to print money. 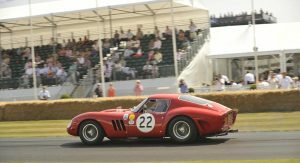 What most people don’t realized is that while these car is competition cars of the period, now no one dare too race them because they are too valuable, last year we go see 250 GT0/64 crashed in Goodwood, and although some owners dare to take it on the track. Some just want to keep them in the garage. And continuation cars is a good idea on how we can fill the grid of historic racing with some glorious cars in the past. And they won’t devalued the original cars because they are essentially a different sanctions and also the owners will actively campaigned their continuation cars to fill up victories for a particular chassis. That is why I’m always happy to see continuation cars being built. Because my name is Marchionni, and it’s all about moola. As long as they don’t make it ugly like the current Ferrari lineup. Huh? It’s a continuation car. You missed the entire point of this article. Either that or you didn’t read it. 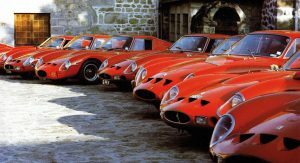 ” living off the spoils of the past is a bad habit to get into” You said this and then you sort of gave idea that Ferrari would make GTO continuation. Come on Sergio, keep consistency within an interview please. Like he would “die before making a Ferrari SUV”, just to announce a Ferrari SUV BEFORE he died? this should be a sign. Lol being positive thinking right? Sergio Marchionne has the whole Fix It Again Tomorrow (FIAT) company existing on several variants of the re-invented 1950’s FIAT 500. MINI is doing the same with it’s current range but they were both mass produced originally. Is it not time both companies produced something new and relevant rather than living in the past? I really love the Ferrari 250 GTO. And (as usual, since I can’t afford the real one) I have a 1:18 model of it made by CMC. Even in miniature, I must admit that this car is very beautiful. Why do they need to remake it again? Won’t it diminish the very elite status of current owners of this classic? Let those 39 owners enjoy their hard-earned status, I think they really deserve it. You can’t just sleep overnight and wake up in the morning with USD20 millions in your bank account. You have to work very hard and extremely smart to make such amount of money and be able to afford this beauty. So, yes, I feel like Ferrari betrays the owners of 250 GTO. What is the reason behind it? Greed? If they want to make some cash (which they have billions already), just make another hypercar to replace the FXX. As I pointed out earlier, it actually didn’t bother or affect most original cars owner since continuation car will always be continuation car. While the original will remained valuable simply because of it’s history. This is the case with Aston and Jaguar continuation car. Beside we already have a lot of replica based on (used to be) less valuable 250 GTE. 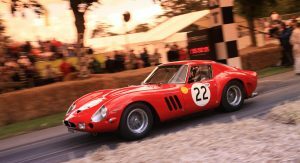 In fact I would be happy of seeing more 250 GTO on track in anger, even if it’s continuation. Uh, btw, about SLS AMG, I have mixed feeling about it. 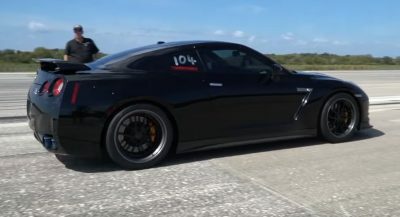 I’ve seen one on the highway, and it’s indeed look menacing, low, wide, and sounds angry. I like it so much. But I think it doesn’t have the iconic status like the 300SL Gullwing, even though they share the same door style. The 300SL on the other hand is true automotive icon. Mercedes really should re-make it again. 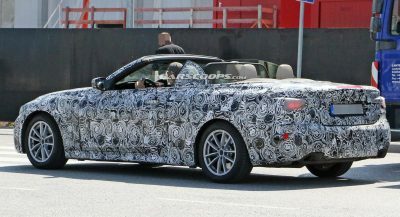 Let’s say in 300 units of coupe and maybe another 300 units of convertible version (both are soooo beautiful). I bet if Mercedes remake them again, thousands of UHNW people would rush to their HQ just to fight for the purchasing right. 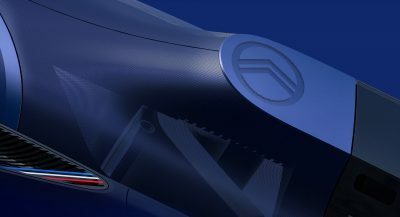 But I think Merc would make some stiff requirements to purchase it, perhaps something like “must already have at least an SLS AMG and an AMG GT and a Black Series AMG and an S-Class Maybach” or “you have at least a CLK GTR or a Project One and an S Class Maybach/G Glass Maybach” to prove that a they’re true Mercedes die hard fan (and with really deep pocket, to deter speculants). A true one, not wannabe. LOL. That’s a good reason to, since the car is not road legal (modern regulations means continuation cars can’t be registered as new car). Which means you don’t have to deal with pesky tax and pretty sure event like Ferrari Festival of Speed last year would give special dispensation to run car like that. Looks like nice event, you guys made it to an UK magazine covering that. Yeah SLS also had a problem of identity crisis, like they aren’t that comfy to be a GT car, but they are not that sharp to be a sports car, while 300 SL Coupe is literally race car for the road, they only make it soft when they launched 300 SL Roadster (I can vouch they feel like 2 different car). Oh I really hate those requirement stuff, yes in some way it kinda ensure who can get it, and not like pesky speculators. But at the same time they kill the real enthusiast that want to own it, it’s like my mate who would like to get GT3 RS, but only to find that most allocation were given to people who has multiple Porsche. Do they have 300SL in Indonesia? I don’t know much about it. Interesting story, I heard about him, I don’t know that he even collects car. He doesn’t really come as “flashy” person to me. Yes that would be excellent choice, to be frank I never been to Germany but if you are in UK. Try to visit classic car dealers, some of them is very friendly for enthusiast, and if you know them well maybe you get lucky and they let you “test drive” one. At least that is what happened to me. Mr. BJ Habibie is very humble person, and yes you’re right, he’s not flashy at all. But since he’s one of the best engineers ever on the Earth, he probably knows one thing or two about well engineered car. And also, he’s very rich, made a lot of money from the royalty of his formula of detecting crack on the airplane structure. That’s why he can afford the 300SL. LOL.. 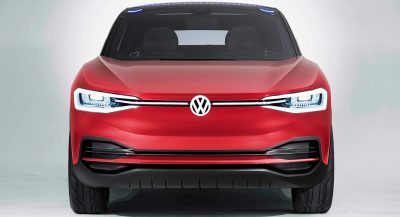 I think it would bastardise so important storic car,I hope they avoid production!!! Zagato already did it twice with Aston Martin blessing back in 80s and 90s. These cars is called “Sanction II” and “Sanction III” they are all rebuild from an existing DB4 GT Chassis. Previous PostPrevious Rolls-Royce Dawn Aero Cowling: Elegant Transformation Or Stupid Idea?